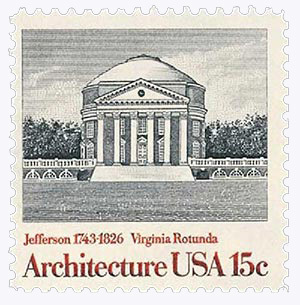 US #1779 pictures the Rotunda, designed by Jefferson to represent the “authority of nature and power of reason.” Click image to order. On January 25, 1819, Thomas Jefferson succeeded in securing a charter for his beloved University of Virginia (UVA). Jefferson had long wanted to establish a school in Virginia. He had attended The College of William and Mary but grew unhappy with its religious stances and lack of science courses. 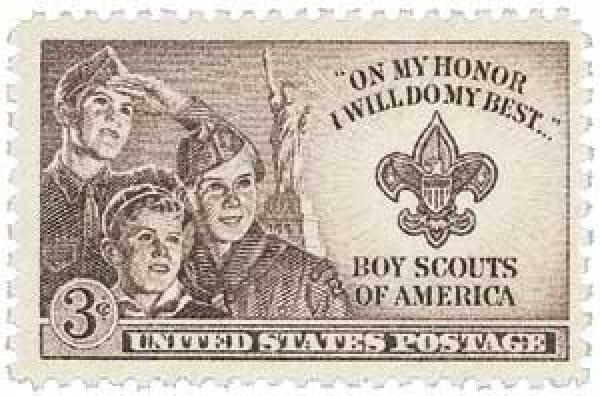 US #995 was issued on the opening day of the 1950 Boy Scout Jamboree in Valley Forge, Pennsylvania. Click image to order. On January 24, 1908, Robert Baden-Powell published the first installment of Scouting for Boys, a pivotal event in the creation of the worldwide Boy Scouts organization. In the 1880s and 1890s, Lieutenant General of the British Army Robert Baden-Powell was stationed in India and Africa. Much of what he taught his soldiers was based on his fondness of woodcraft and military scouting, which was intended to help them survive in the wilderness. Realizing that the troops needed to be more independent, and not just blindly follow their officer’s orders, Powell wrote, Aids to Scouting. US #2198-2201 – America’s first commemorative booklet. Click image to order. The booklet was born out of a friendly relationship between the US and Sweden’s postal departments. In 1938 and 1948 the US had issued stamps with Swedish themes – the tercentenary of the Swedish-Finnish settlement of Wilmington and the 100th anniversary of Swedish pioneers in the American West. Then in 1983, the US and Sweden worked together on a joint issue honoring the 200th anniversary of the Treaty of Amity and Commerce. 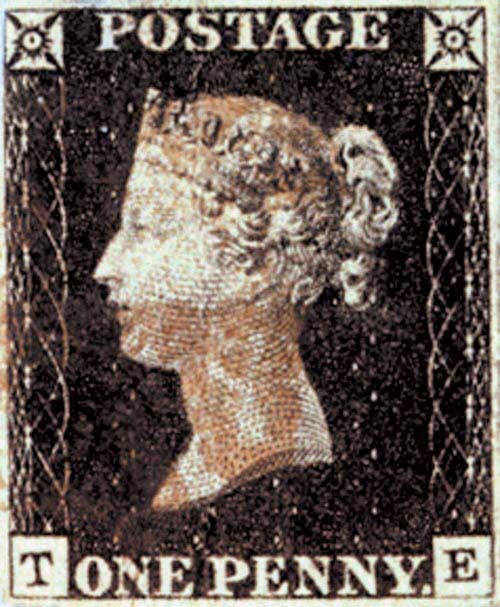 Great Britain #Black1xxx – Victoria insisted the portrait of her on the Penny Black be the only image of her on Britain’s postage stamps. Click image to order. On January 22, 1901, the longest-reigning British monarch up to that time, Queen Victoria, died. The queen was born on May 24, 1819, to Edward, Duke of Kent and Victoria, Princess of Saxe-Coburg of Germany at Kensington Palace. She was baptized in the name of Alexandrina Victoria after her cousin, Tsar Alexander I of Russia. Although her first language was German, Drina (as she was called at home) also learned English and French. 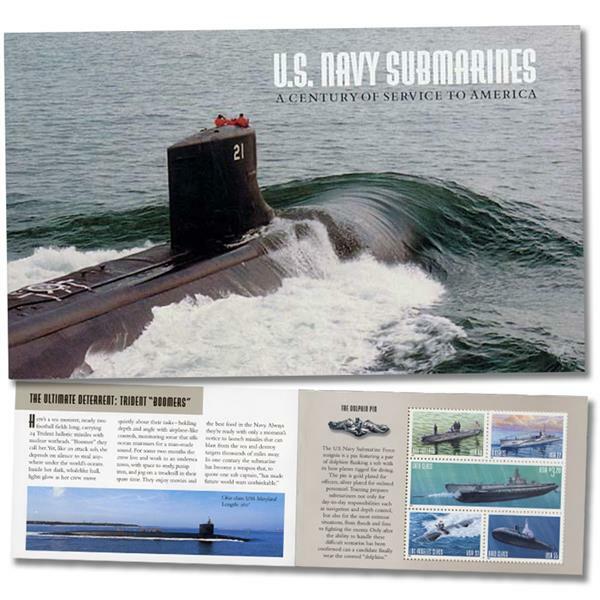 US #BK279 – America’s first preside booklet honoring a century of US Navy submarines. Click image to order. On January 21, 1954, the USS Nautilus, the world’s first operational nuclear-powered submarine, was launched. Accounts of boats submerging in the water date back to the 1560s, though the first verifiable vessel was designed and built in 1620. US #1771 was issued two days before King’s 50th birthday. Click image to order. 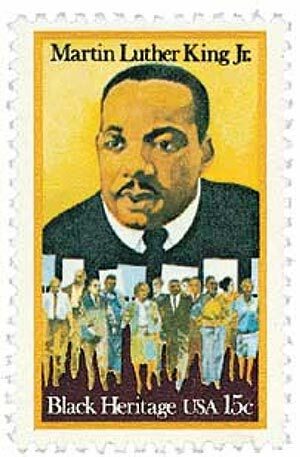 On January 20, 1986, Martin Luther King Jr. Day was first observed as a federal holiday after a decades-long battle. Calls for a holiday honoring King began just four days after his sudden death in 1968 at the age of just 39 years old. US Representative John Conyers and US Senator Edward Brooke submitted a bill calling on Congress to declare his birthday a national holiday.